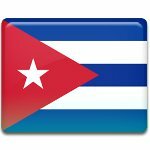 War of Independence Anniversary is one of the major national holidays in Cuba. This holiday annually falls on October 10 marking the anniversary of beginning of the Ten Years' War. This holiday is sometimes called Independence Day and Beginning of the War of Independence, but in fact these two names are not correct. 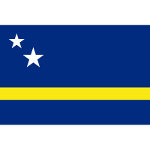 Curaçao Day is a national holiday in Curaçao, an island in the southern Caribbean Sea and a constituent country of the Kingdom of the Netherlands. This holiday is annually observed on October 10, marking the anniversary of dissolution of the Netherlands Antilles. People of Fiji celebrate Fiji Day on October 10 every year. 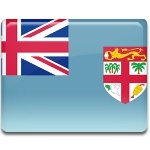 This is a national holiday and its celebration is connected with two important events in the history of Fiji, that both took place on October 10. 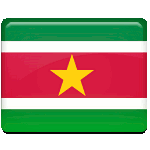 Maroon Day is one of the public holidays in Suriname. This holiday had been celebrated for decades, but it became a public holiday only in 2011, when the first official events were held. 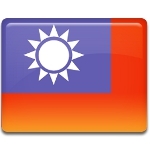 The Republic of China, that is commonly known as Taiwan, celebrates its National Day on October 10. This holiday is also called Double Ten Day or Double Tenth Day, referring to the tenth day of the tenth month in 1911, when the Wuchang Uprising began. 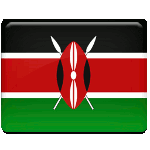 Moi Day is a public holiday in Kenya celebrated on October 10. It honors Daniel arap Moi, a Kenyan politician who served as the second President of Kenya from 1978 to 2002. 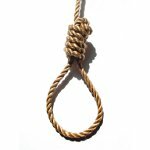 The World Coalition against the Death Penalty created World Day Against Death Penalty in 2003, since then it's annually observed on October 10. 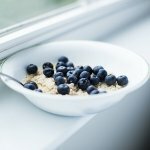 World Porridge Day is observed annually on October 10. It was launched in 2009 as a fundraising campaign for Mary’s Meals, a Scotland-based charity which sets up school feeding programs in poor countries, where hunger prevents children from gaining an education. 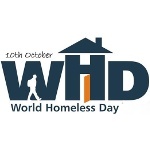 World Homeless Day is marked by people around the world on October 10. 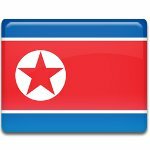 It is dedicated to a global problem that affects most countries. The main goal of this international observance is to encourage people to change the lives of homeless people in their local community. 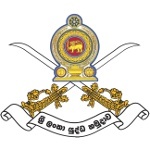 Army Day in Sri Lanka is celebrated on October 10. The holiday commemorates the creation of the Ceylon Army in 1949. Poland celebrates Arbor Day (Dzień Drzewa) on October 10. 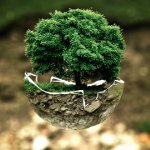 It aims to raise awareness of the importance of conservation of the country's rich forests. Finnish Literature Day is celebrated on October 10 each year. The date was chosen because it was the anniversary of the birth of Alexis Kivi, one of the greatest Finnish writers of all times. He was a prolific playwright, but is most remembered for his novel Seven Brothers. 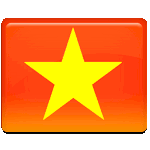 Capital Liberation Day is a Vietnamese observance held on October 10. On this day, the people of Vietnam celebrate the liberation of Hanoi by the Viet Minh troops in 1954. 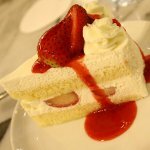 The National Angel Food Cake Day is celebrated on October 10. This food related holiday is devoted to the delicious sponge cake originating in the U.S. that has been known since the late 19th century. World Mental Health Day is one of the international observances connected with the issues of health problems, that humanity faces everyday. This international day exists since 1992, when it was observed for the first time on October 10. 2012 Died: Amanda Todd, Canadian high school student. She committed suicide because she was sexually exploited online and cyberbullied. 2010 The Dutch Caribbean dependency the Netherlands Antilles ceased to exist with a change of the five islands' constitutional status. 2010 Died: Joan Sutherland, internationally renowned Australian soprano, known for her contribution to the renaissance of the bel canto repertoire. 2010 Died: Solomon Burke, renowned American singer and musician. He is considered to be one of the founding fathers of soul music in the 1960s. 2004 Died: Christopher Reeve, American actor, film director, producer, screenwriter, author, and activist, best known for playing the role of Superman. 2002 Died: Teresa Graves, American actress and singer. She was the first African-American woman to star in her own hour-long drama TV series. 2000 Died: Sirimavo Bandaranaike, Sri Lankan politician and stateswoman who served as Prime Minister of Ceylon and then Sri Lanka three times. 1985 Born: Marina Lambrini Diamandis, professionally known as Marina and the Diamonds, Welsh singer-songwriter and musician. 1984 Born: Pavel Durov, Russian entrepreneur best known for founding the social networking website VK (VKontakte) and the Telegram Messenger. 1982 Died: Jean Effel (pseudonym of François Lejeune), French painter, illustrator, caricaturist, journalist, and political commentator. 1980 The Farabundo Martí National Liberation Front (FMLN) was formed in El Salvador. 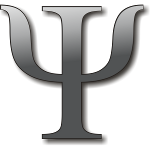 It was a coalition of five left-wing guerrilla organizations. 1967 The Outer Space Treaty came into force. The treaty forms the basis of international space law. As of 2013, 103 countries are parties to the treaty. 1965 Born: Chris Penn, American film and television actor, the brother of Sean Penn. He is known for his roles in Reservoir Dogs, Rush Hour etc. 1964 The opening ceremony of the 1964 Summer Olympics took place in Tokyo. The 1964 Summer Olympics were the first Olympics held in Asia. 1963 Died: Édith Piaf (born Édith Giovanna Gassion), renowned French singer whose best known songs include La Vie en rose and Non, je ne regrette rien. 1957 The Windscale fire took place in Unit 1 of the Windscale facility in Cumberland, England. It was the worst nuclear accident in the history of the UK. 1936 Born: Gerhard Ertl, German physicist who was awarded the 2007 Nobel Prize in Chemistry for his studies of chemical processes on solid surfaces. 1933 A United Airlines Boeing 247 exploded mid-air and crashed near Chesterton, Indiana. All 7 people aboard (3 crew and 4 passengers) died in the crash. 1917 Born: Thelonious Monk, American jazz pianist and composer noted for his unique improvisational style and contributions to the standard jazz repertoire. 1913 Born: Claude Simon, French novelist who was awarded the 1985 Nobel Prize in Literature. War is a constant and central theme in his works. 1911 The Wuchang Uprising occurred in the city of Wuchang, Hubei province, China. It sparked the Xinhai Revolution that ended the Qing Dynasty. 1911 Died: Jack Daniel, American distiller and businessman primarily known as the founder of the Jack Daniel's Tennessee whiskey distillery. 1897 German chemist Felix Hoffmann discovered an improved method for making acetylsalicylic acid (ASA), which is commonly known as aspirin. 1889 Born: Han van Meegeren, Dutch painter. Van Meegeren is considered to be one of the most ingenious art forgers of the 20th century. 1861 Born: Fridtjof Nansen, Norwegian explorer, scientist, athlete, diplomat, and humanitarian. Nansen was awarded the 1992 Nobel Peace Prize. 1813 Born: Giuseppe Verdi, influential Italian Romantic composer primarily remembered for his operas, such as Rigoletto, La traviata, Aida, Otello, Macbeth. 1780 The Great Hurricane of 1780 began in the Caribbean. Having killed between 20,000 and 22,000 people, it is the deadliest Atlantic hurricane on record. 1731 Born: Henry Cavendish, British natural philosopher and scientist. He is primarily remembered for his contributions to chemistry and physics. 1659 Died: Abel Tasman, Dutch seafarer, explorer, and merchant. 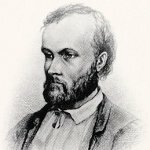 He was the first known European explorer to reach Tasmania and New Zealand.